Shiatsu means finger pressure. It's a Japanese therapy based on the structural balance and energetic in its entirety, body and mind. The Japanese Ministry of Health defines it as "treatment that applying pressure with thumbs and palms of hands on certain points of the body, corrects irregularities, maintains and improves health, helps to alleviate various diseases and activates the body's healing capacity. No side effects "
Shiatsu was officially recognized by the Ministry of Education and Health in Japan, thanks to the work of Tokujiro Namikoshi (founder of shiatsu) since 1955. 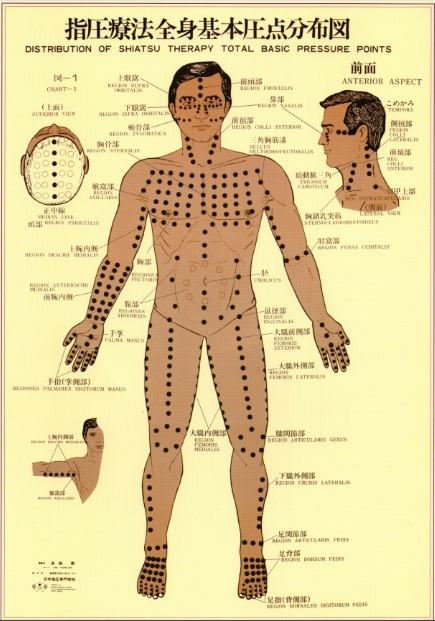 Shiatsu keeps a very close relation to the traditional Chinese medicine, for diagnosis and treatment, medicine eastern uses the classical system of meridians and tsubo, the Ki (vital energy), the laws of Yin and Yang and the Theory of the Five Elements. 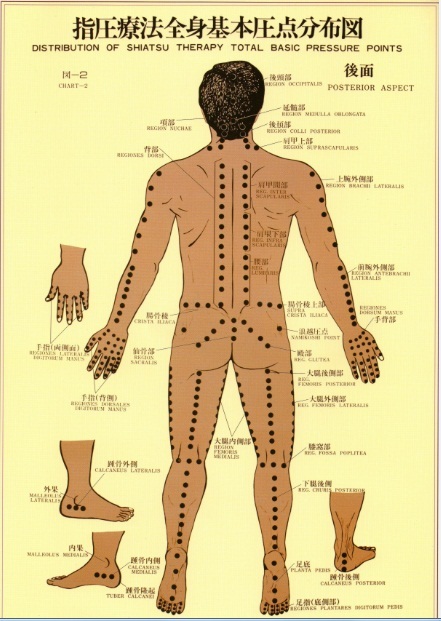 Most of the pressure points that coincide with the meridians of acupuncture.